Luxury Yachts, Mega Yachts in Greece. Luxury Yachting in Greece. Luxury yacht charters in Greece, Amazing sailing experiences. 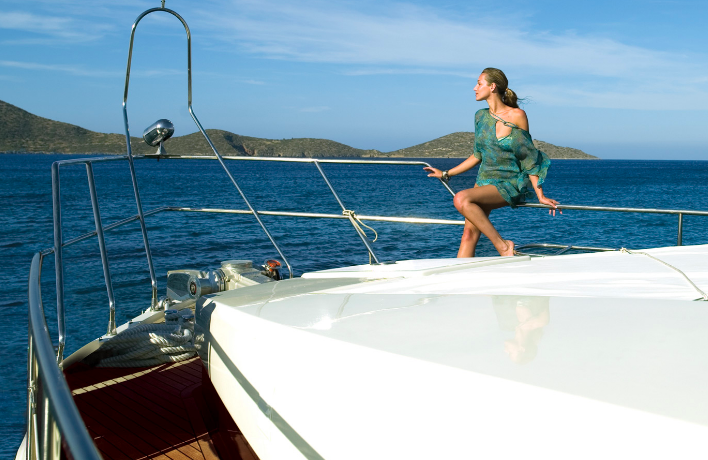 Luxury Yacht Experiences, Tailored To You. As soon as you step onboard, every moment of your charter experience will be tailored to your taste. One owners suite on the main deck with king size bed, VIP guest suites with Jacuzzi, guest cabins with en suite bathroom, BBQ and Jacuzzi on sundeck. Yacht entertainment, tenders and toys. Sailing trips and sailing cruises with a unique and advanced sailing attitude. offering you the best sailing in Greece from a different perspective. An experience you have never imagined. The RM Mega Yacht (72 meters), with her futuristic lines, is an outstanding addition to the world’s mega yacht fleet. This yacht is the ultimate in style and luxury. Αbsolute experience in your private yacht, the ultimate relaxation, with massage and beauty therapists or even yoga/pilates instructors. Also we have the perfect suggestions to explore the world under the water. Enjoy unforgettable events in your yacht, dinning with a private chef. Our proffesional crew who know your exact preferences will be tailored to your taste, from food and drinks to water activities. Onboard a luxury yacht, anything you want, because all are possible and nothing out off limits. Dreamy private moments over the sea..